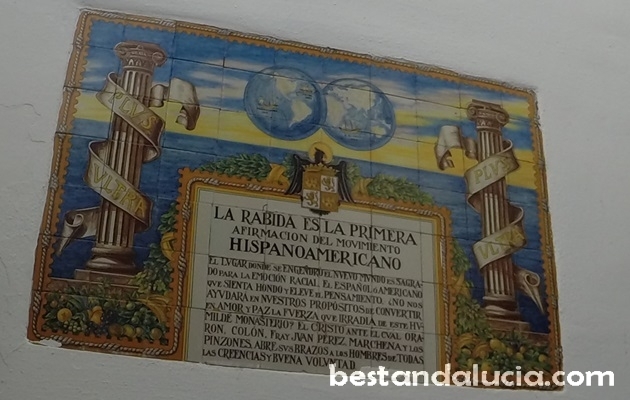 Located not far from Huelva, there is a museum dedicated to Cristopher Columbus and the discovery of America. Whether you are interested in history or not, you will surely enjoy the visit in this atmospheric place. The museum is full of costumes, paintings and other items that vividly illustrate the atmosphere of the 15th century Spain. Of course, there are also 15th century travel documents, maps, navigation instruments, ship weapons and some insightful anecdotes that allow visitors to understand the ship-board life during Columbus’s voyages. 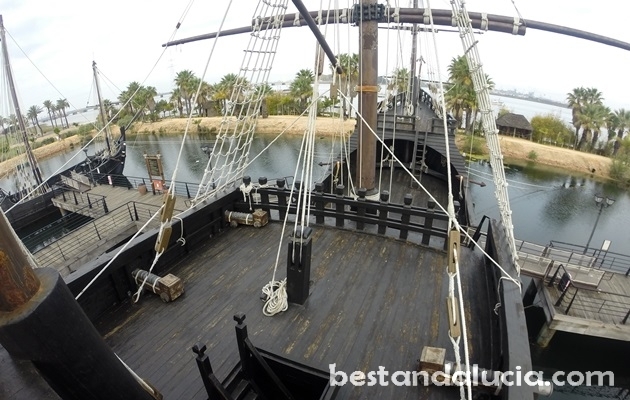 The museum lies directly next to a small lagoon which is home to the exact full-size replicas of the 3 ships which Columbus used to his voyage to Americas in 1492. The place is called Muelle de las Carabelas. It is possible to get on board and explore the three caravelles in detail: the smallest Nina, the middle size Pinta and the biggest one, Columbus’ flagship the Santa Maria. The walk aboard can be quite exciting as tourists are allowed to wander wherever they like. Visiting Columbus Caravel Dock Museum is a great idea for a fun family day. It’s likely that small kids will be bored in the museum, but they should love the three vessels. Remember the museum and the ships dock are always closed on Mondays. Also if it’s rainy, the ships might be closed for safety reasons as the decks can be very slippery. In the vicinity of Columbus museum lies the La Rabida, the Franciscan monastery where Columbus took refuge between 1491-92 waiting for his first voyage west, to Indies, which turned into the discovery of the New World. It is possible to visit the place which consists of several rooms with artefacts and documents that relate to Columbus and his journey. The place has remained unchanged for more than 500 years – it’s very well preserved. The museum is surrounded by beautiful gardens.